Brick and stone are two building materials that rarely appear together. If you would like to use both brick and stone in your interior, exterior or patio design, it is important to take time to coordinate the size, shape, and color of the bricks and stones before you purchase them. Spend time walking around a home improvement store and physically pair different bricks and stones together to see which will complement each other best. Coordinate your coloring. Brick and stone won't look good together if they are completely different colors. If you are using grey stone for the siding on your house, select grey brick for your pathway or patio. If you have a red brick house, use red or orange flagstones for the pathway or patio. Combining brick red stones with grey or blue ones can be jarring. Coordinate sizes. 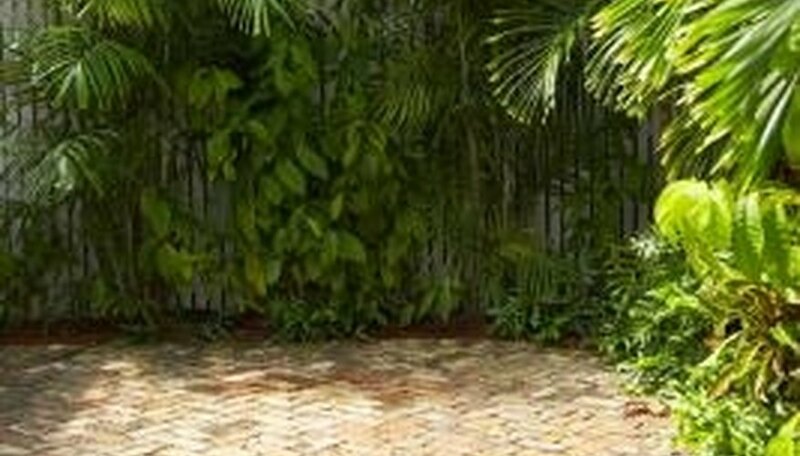 If you are building a patio out of brick and stone, select bricks and stones that are similar in shape or size. For example, if you would like to create a brick patio that is surrounded by stones, select cobblestones for the trim rather than large flagstones. This will prevent the patio from looking unplanned or unbalanced. Vary textures. If you are creating a pattern for your patio by alternating brick and stone, selecting stones and bricks with vastly different textures can give the overall look an artistic appeal. Smooth, rounded cobblestones or smooth stone tiles paired with straight and coarse bricks can give your patio an interesting design.